The future of every society, great and struggling, is in the hands of its young people. These future leaders and their store of knowledge, their abilities to reason, their worldviews and skills will determine the improvements and problems the rest of the century will bring. With this perspective in mind, some education experts in the United States harbor concern that, if education policies and teacher recruitment and retention approaches in the U.S. don’t see some change, the country will face compounding societal challenges in the years and decades ahead. Many point to the less-than-heartening standing of the U.S. education system in the ranking compiled by PISA, the Program for International Student Assessment, as one of the sources of this concern. The most recent PISA report, released in 2015, placed the U.S. at a below-average 38th out of 71 countries in math and 24th in science. The story of the U.S. education system gets rougher when one takes into account what the results showed about the inequality that persists within it. 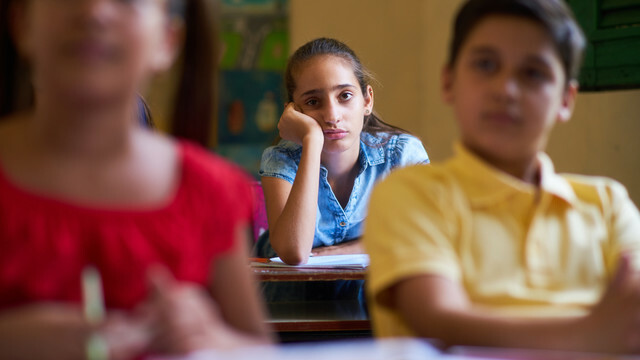 Disadvantaged students in the U.S. are two-and-a-half times more likely to be low performers on the exam than their more-advantaged counterparts. The fact that such disparity in the education system exists in the United States because, in this country, lack of resources is not the issue—it’s how they’re applied. The U.S. is one of the wealthiest countries in the world, with a per capita GDP in 2014 of roughly $55,000. Accordingly, the U.S. spends a relatively high amount on education per student. Between the ages of 6 and 15, the country spends about $115,000 per student – more than any country in the PISA ranking besides Luxembourg, Switzerland, Norway, Austria, and Singapore. These disparate numbers and ranking suggest that at issue for the education system in the U.S. is not the need to secure more funding, but the need for better policies. What follows is a list of five policy lessons the U.S. can learn from their PISA rankings—and from the countries who do a better job of managing to narrow the inequality gap without sacrificing performance. 1. Plot a clear strategy to improve the education experience for all students and narrow inequality gap. The PISA 2015 report notes that the countries whose educational systems offered students the best outcomes and the least indication of inequality had instituted clear, carefully thought-through strategies with reduction of inequality in mind. For example, British Columbia in Canada developed a plan to improve the outcomes of Aboriginal students. 2. Hold to equally rigorous standards for all classrooms. Some countries have shown that adopting standardization programs—and making sure that low-performing schools are held to those standards as diligently as top-performing ones—have been successful in bringing schools and their students onto a more-level playing field. Starting from the conviction that every student—no matter where in the country he or she lives—should receive a similar education will lead in the direction of a sound standardization policy. 3. Put a focus on teachers as a central force for change in the education system. Countries that pay teachers a comfortable living wage and offer practical support to those in the most difficult situations tend to see the benefits in their students’ learning outcomes. Since the United States faces a teaching shortage, especially in schools serving the most vulnerable populations, such changes would likely go a long way in improving the problem of inequality here. 4. Equalize the share of resources among all school systems. Right now, American schools in higher-income regions see the benefit of higher tax revenues, only exacerbating the other advantages those students enjoy. The PISA report details how many high-performing education systems across the world take steps to ensure that resource allotment is equalized – so that all students can equally benefit from a country’s wealth. 5. Pay special attention to at-risk schools and districts, to monitor and ensure major progress. Given that many schools and their students are starting from a deep disadvantage that has been decades and centuries in the making, it follows that policies should favor at-risk schools when putting in place programs like after-school mentoring programs, arts programs, teacher-hiring programs, and the like. With these policies in mind, policymakers and advisors in the U.S. can make great strides in building an equitable education system for all of the country’s students—and build a stronger society in the process.